Haomei Al. 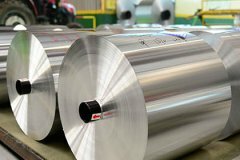 is a large-scale listed company of aluminum sheet, coil and foil manufacturing, and the annual product capacity is 450,000 tons.For years, Haomei Al. serves to electronic, automotive, trasportation, construction, packaging, printing, etc., and widely recognized by the international customers.